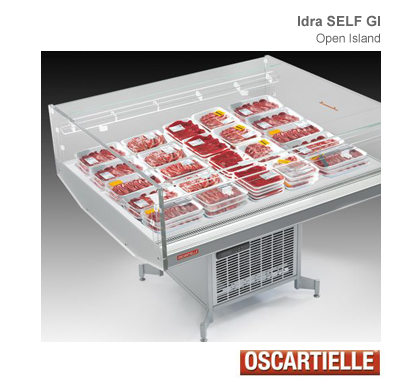 The IDRA range of refrigerated cabinets by OSCARTIELLE are suitable for all product types including meats. Designed and built to meet every specific need; models include Self, Twin, Servita, H130 and the Convertible. 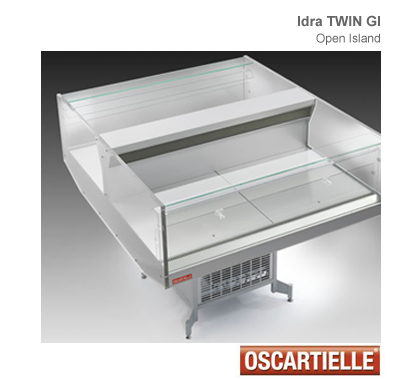 The Self, Servita and Convertible models feature a tub that can be tilted in multiple positions, the Self is available also with ducting, while the H130 version is equipped with double-glazing and rear tilted shelves adjustable in height.